Masi studied voice and piano at the Budapest Conservatory of Music in her native Hungary before moving to Canada to further her studies at the Royal Conservatory of Music (RCM) in Toronto, where she launched her singing and modeling career. As a model, she was photographed in Europe, Canada & the U.S.A. She had principal parts in television commercials for such well known brands as Oil of Olay, Ballantine Scotch, Pledge and Sunbeam. 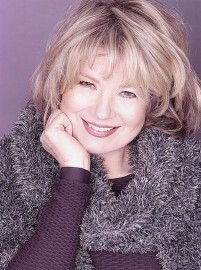 Her work in these fields earned her membership in the Alliance of Canadian Cinema Television and Radio Artists (ACTRA). At the same time, she continued to develop musically, acquired her ARCT from the RCM and began singing with the world famous Toronto Mendelssohn Choir. It wasn't long before she was collaborating on a project with Bobby Scott in New York. She has been performing with renowned artists ever since, culminating with her recent work with the Norman Amadio Trio. Mr. Amadio is no stranger to fame or legends himself. During his distinguished career as one of Canada's outstanding pianists he has accompanied such stars as Judy Garland, Englebert Humperdink and Paul Anka, as well as such famed jazz singers as Dinah Washington, Carmen Macrea, Mel Torme, Joe Williams and Cab Calloway. A natural with languages, Masi is equally at ease singing in Hungarian, English or French. Masi is a chanteuse in the true sense of the word. Jazz legend Bobby Scott described her as "a unique talent and voice. It is not jazz or even pop. It's a throw back to the yesteryear and without any imitation! She just sings as she does! I find it fascinating myself!" Globe & Mail's Erika Ritter, on hearing her perform, marveled at "the astounding resonance and depth" of Masi's voice.